“Let us not fool ourselves; it is a serious situation when the people in India feel this is their 9/11”. What happened in India last week sets a new tone for the war on terror. From an American led campaign that generated, for years, passionate debates around the globe, the war on terror has acquired since the Mumbai attacks a totally new local and regional dimension imposing a new Modus Operandi and complicating the modalities of the so called “Global War on Terror”. From the Madrid train bombings in March 2004, to the 07/07/ London bombings in 2005 and the self styled Iraqi Al Qaeda long struggle, we have been hearing about new ways and tactics the terrorist organization is using to bypass the vigilance and the high security plans introduced in major Western capitals since September 11 attacks on New York and Washington. The way the Mumbai attacks have been planned and put in practice confirm the change in the nature of the struggle, at least from Al Qaeda’s point of view. It has been made clear that Al Qaeda managed to change its fighting style, showing creativity and the capacity to adapt to new conditions where the “sleeping cells” strategy isn’t as efficient. Instead of manipulating undercover sleeping cells hierarchically related to Osama Ben Laden and Ayman Al Zawahiri, the Mumbai attacks prove that Al Qaeda is now a decentralized entity, granting its trade mark label to any Islamic group willing to start a local franchise of the Ben Laden movement. Some technical lessons should be learnt after the attacks in India last week. The more important one is how powerful a local terrorist group can be when it operates in its natural environment. In that sense, the group that perpetrated the attacks in Mumbai managed to turn one coordinated assault into a series of independent successful operations. The only difference with the Al Qaeda style has been the absence of the suicidal dimension. While suicide attacks have been the strongest tool for Al Qaeda (9/11 and Madrid bombings), the decentralization of the movement unveils new dangerous and deadly capabilities of Islamic terrorism without the need to make suicide a key to success. On the contrary, the decentralization method proves, at least in the Indian case, that terrorists can plan and carry out commando operations that last for days and cause chaos and fear. It is useful here to remind that as few as 10 militants may have been involved in the Mumbai assaults, attacking multiple locations including two hotels, a major railway station, a hospital and a Jewish centre. And to cap it all, the Islamist commandos even had the audacity to search for people with Western passports in order to take them hostage. Al Qaeda’s decentralization appears as a real new global threat, and there is a high probability that it will lead to the decentralization of the war against it, with all the complications that follow. 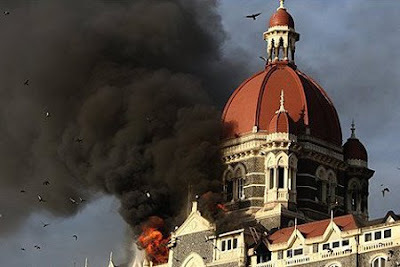 The attacks in Mumbai, after Delhi held Islamabad responsible for offering a safe haven to terrorists, directly resulted in the inauguration of a new era of tension with neighboring Pakistan. Decentralizing the fight against Al Qaeda is a high risk strategy specifically in the Arab and Islamic world, where the “War on Terror” label may serve as an excuse for some states to try and win through aggression what should be achieved through negotiations.